Guest review by Paul Thompson. 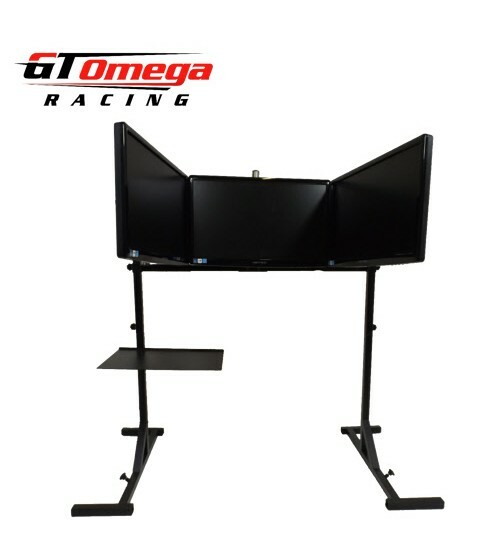 I took delivery of my GT Omega triple monitor stand some 3 weeks ago, and needless to say I’m mighty impressed with what I’ve bought. I’d been in communication with Leo from GT Omega with regards to the next available unit for some time, as the web site had been showing “out of stock” for little while, but when the new stock arrived Leo promptly emailed me to tell me, and I duly placed my order. I was really surprised when roughly two days later, I had a collection of rather large and heavy boxes turn up, and I couldn’t wait to unpack all of the contents and set about building my stand. I will agree with Darin Gangi’s comments in his review video, the instruction leave a little to be desired, but really it’s not like building a rocket ship. So after an evening of messing around, followed by another few nights of tweaking and changing things, well I can finally say the stand is up and running and in placement in my gaming room. The build quality of the stand is very high, and I encountered no problems at all when building it. Everything fitted as instructed, and all the edges were smooth with no worries of being cut. 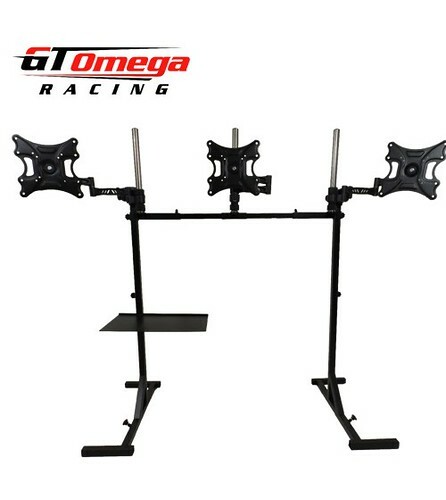 Once I had fitted all 3 of my 27″ monitors and adjusted each simulator I play to place me in the correct position of each given car, well it was like a light had been switched on. 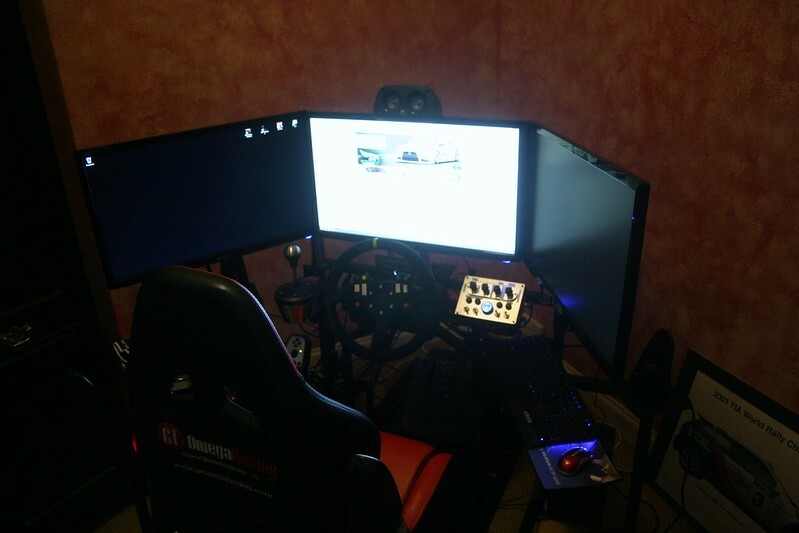 I’ve been sim racing since the early days of Grand Prix 2, and playing arcade racing games for years before that (I’m 43), but the update of 3 monitors has changed everything I do in racing. What crazy is that due to simple placement of the car, and being able to run to the white line (or beyond) of each track, well on average I’m around 2 seconds per lap quicker, what’s also crazy is that I’m more metronomic with my lap times, which now tend to only vary by tenths as opposed to seconds. For me I would give this product 9 out of 10.